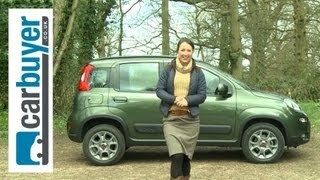 The 2013 Fiat Panda 4x4 made its public debut at the 2012 Paris Auto Show last year. 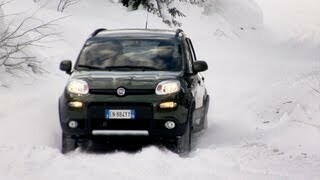 This four-wheel drive Panda is a successor to Fiat's bestseller. 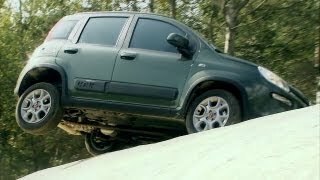 For the look of the new Panda 4x4, Fiat Centro Stile designers started from the idea of consolidating its purely functional design features, adding small details that convey the image of an extremely sophisticated multifunctional mini SUV. Looks are strongly characterised by the marked geometric lines of the front and rear bumpers with aluminium colour cosmetic inserts to underline the presence of metallic protection under the body. 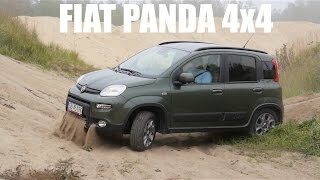 The new Panda 4x4 improves itself and reasserts its admirable capacity to compete with off-road cars of much greater dimensions. With five doors, the car is 368 centimetres long, 167 centimetres wide and 160 centimetres high. The wheelbase is 230 centimetres long. 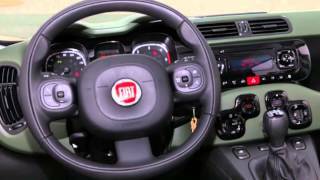 It has a front track of 141 centimetres and a rear track of 140.